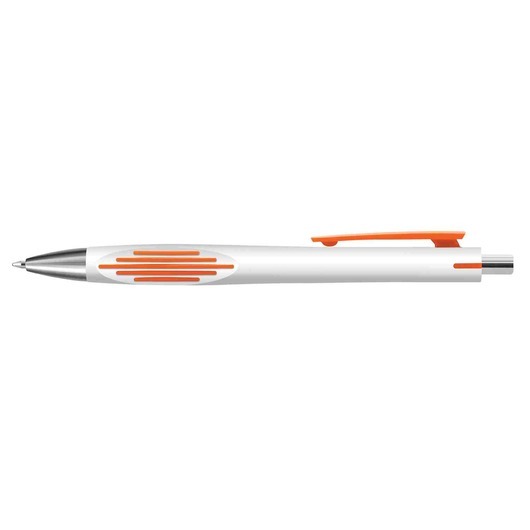 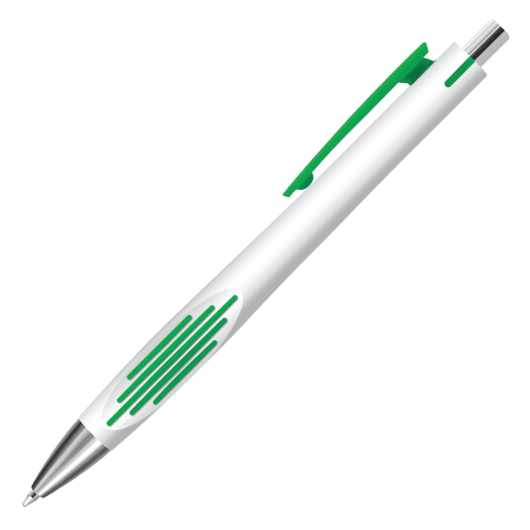 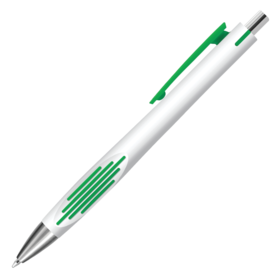 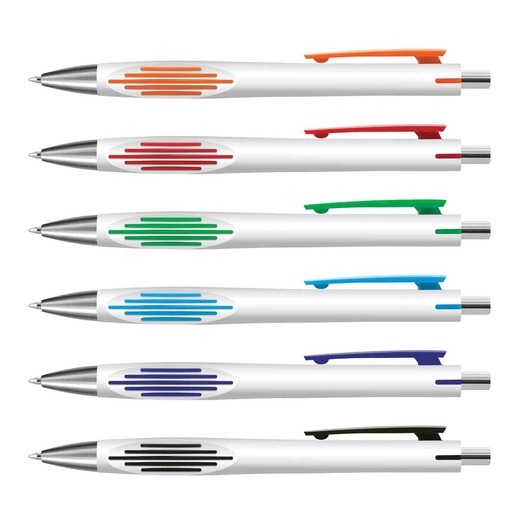 Retractable plastic and metal ball pen in a great range of colours. 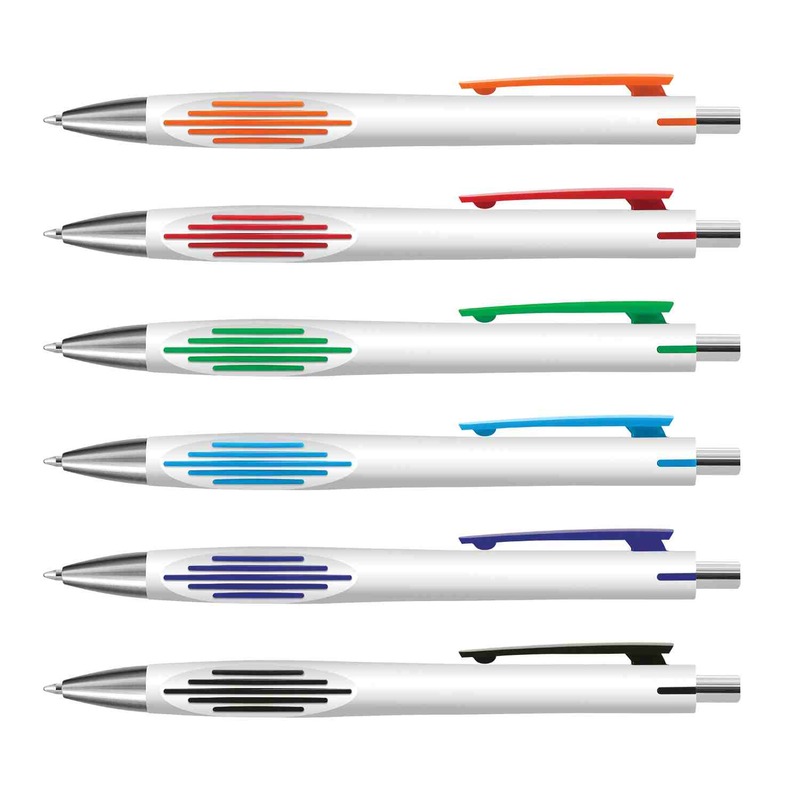 On point writing quality made possible by these retractable pens. 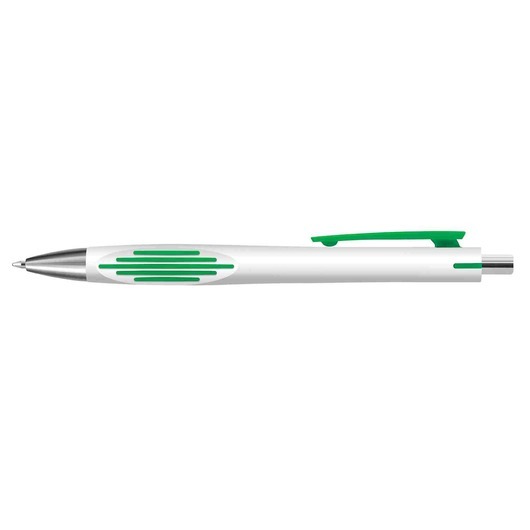 Manufactured from plastic and metal materials, these ball pens feature a white barrel, a unique double injected three dimensional grip and a shiny chrome trim. They have a large volume of black refill with 800 metres of writing ink and a tungsten carbide ball that will let you experience improved writing quality like no other. Blue ink is available for an additional cost.